MetalKettle, one of the most famous Kodi addon developers of recent times, has called it quits. Citing concerns over the current legal environment, 'MK' says he considered what would happen if he found himself targeted by lawyers. Not wanting to take any more risks, he says he'll concentrate on being a husband and father instead. After dominating the piracy landscape for more than a decade, BitTorrent now shares the accolades with web streaming. The latter is often easier to understand for novices, which has led to its meteoric rise. Currently, software like Kodi grabs most of the headlines. The software is both free and legal but when it’s augmented with third-party addons, it’s transformed into a streaming piracy powerhouse. As a result, addon developers and distributors are coming under pressure these days. Numerous cases are already underway, notably against addon repository TVAddons and the developer behind third-party addon ZemTV. Both are being sued in the United States by Dish Networks but the case filed against TVAddons in Canada is the most controversial. It’s already proven massively costly for its operator, who has been forced to ask the public for donations to keep up the fight. With this backdrop of legal problems for prominent players, it’s no surprise that other people involved in the addon scene are considering their positions. This morning brings yet more news of retirement, with one of the most respected addon developers and distributors deciding to call it a day. 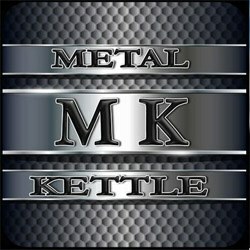 Over the past three to four years, the name MetalKettle has become synonymous not only with high-quality addons but also the MetalKettle addon repository, which was previously a leading go-to location for millions of Kodi users. “Over the past year or so Kodi has become more mainstream and public we’ve all seen the actions of others become highlighted legally, with authorities determined to target 3rd party addons making traction. This has eventually caused me to consider ‘what if?’ – the result of which never ends well in my mind,” MetalKettle writes. The news that MetalKettle will now fall silent will be sad news for the Kodi scene, after hosting plenty of addons over the years including UK Turks, UKTV Again, Xmovies8, Cartoons8, Toonmania, TV Mix, Sports Mix, Live Mix, Watch1080p, and MovieHut, to name just a few. The distribution of these addons and others ultimately placed MetalKettles on the official Kodi repository blacklist, banned for providing access to premium content without authorization. More recently, however, MetalKettle joined the Colossus Kodi repository but it seems likely that particular alliance will now come to an end. Whether other developers will take on any of the existing MetalKettle addons is unclear. Signing off to his fans during the past few hours, MetalKettle (MK) thanked everyone for their support over the past several years. “It’s much appreciated and made this all worthwhile,” MK said. While plenty of people contribute to the Kodi scene, it can be quite a hostile environment for those who step out of line. The same cannot be said of MK, as evidenced by the outpouring of gratitude from his associates on Twitter. Update: The resurrected TVAddons site informs TF that MetalKettle’s ‘legit’ addons were added to the TVAddons repo last week.